For all of Lean In's strongly phrased criticisms of the modern corporate world, author Sheryl Sandberg still seems to spark the most debate with one seemingly innocuous opinion: We shouldn't call girls "bossy." "When a girl tries to lead, she is often labeled bossy," Sandberg wrote. "Boys are seldom called bossy because a boy taking the role of a boss does not surprise or offend." Since Lean In's publication a year ago this week, Sanberg continues to draw criticism for her belief that girls should be praised for leadership skills rather than being called bossy. As recently as last month, Inc. columnist and HR veteran Suzanne Lucas wrote about the passage: "Bossy is not leadership. In fact, bossy is the opposite of leadership." But Sandberg is leaning in to her position, and she's bringing some friends. 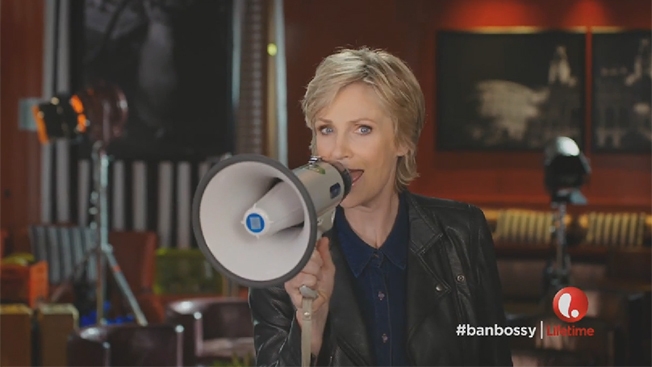 Beyonce, Jennifer Garner, Condoleezza Rice, Jane Lynch and other high-profile women have come together to support LeanIn.org's "Ban Bossy" campaign. "I'm not Bossy," Beyonce announces. "I'm the boss." The campaign also includes a spot by BBDO, showing young girls describing how they will lose their motivation to lead in middle school under social pressure to not be bossy. Co-sponsored by the Girl Scouts, the digital campaign encourages women and men to post #BanBossy messages to social media, helping encourage girls to be opinionated without fear of pushback. Critics will continue to say that bossy behavior should be discouraged and that it's important to foster a sense of civility in leadership. But actress Jennifer Garner notes that as long as we continue to use the word "bossy" as a criticism unfairly leveled against girls, we'll continue to breed silence, not leadership: "When a little girl is called bossy when she leads, it's telling her to be quiet. I don't want girls to be quiet. I want them to roar!"